Advice Home > Dementia > What Is Frontal Lobe Dementia? Dementia is a general term for a cluster of symptoms that include changes in memory or behavior that get in the way of normal functioning in life. Dementia can be progressive or non-progressive. Non-progressive dementia can be caused by things like vitamin deficiencies or traumatic brain injuries, and can sometimes be reversed. Progressive dementia includes the cluster of diseases usually associated with the term, and cannot be reversed. Alzheimer's Disease is the most well-known type of dementia, accounting for 60-80% of dementia cases. Other types of dementia include Lewy body dementia, vascular dementia, and the subject of this piece, frontotemporal dementia. Frontotemporal dementia (FTD) is the official name for frontal lobe dementia. Both of these names refer to the part of the brain affected by the disease - the frontal and temporal lobes. These are the parts of the brain responsible for, among other things, language, personality, and behavior. In FTD, these parts of the brain shrink. They atrophy and suffer the loss of function. It is not always clear what causes these changes in the brain. In some cases, normal brain activity is interrupted by protein structures, called Pick bodies, that develop inside brain cells. Pick's disease is an old name for FTD that is now reserved for types of FTD where Pick bodies are present. There are three main types of frontal lobe dementia. These are behavioral variant frontotemporal dementia (bvFTD), primary progressive aphasia (PPA), and movement disorders. PPA is further subdivided into semantic dementia and progressive agrammatic (nonfluent) aphasia. Movement disorders are subdivided into corticobasaldegenerationand progressive supranuclear palsy. FTD symptoms vary depending on the subtype of dementia. Behavioral variant frontotemporal dementia (bvFTD) is the most common type of frontotemporal dementia (FTD). It affects behavior and emotional regulation. People with bvFTD often act impulsively and have difficulty navigating social situations. They may be emotionally volatile and have trouble regulating anger or irritation. In other cases, their emotions seem to be damped. Because of the parts of the brain affected by bvFTD, the people exhibiting these symptoms often don't notice the symptoms. Although their social behavior may be embarrassing to those around them, they don't seem to notice. If they notice, they may not care. When they are rude or mean to friends, family members, or strangers, they are usually unconcerned. Their sense of empathy is often blighted, and they don't seem to be able to pick up on social cues. Because bvFTD often affects people who are younger than is considered typical for a dementia diagnosis, it's easy to miss a diagnosis of bvFTD. Especially in men, bvFTD may be dismissed as a mid-life crisis, since the type of impulsivity and mood changes seen in bvFTD are culturally considered to be common for men in their 50s. This can make it difficult for family members to get doctors to take them seriously, especially since the patients themselves are usually unaware of the symptoms. In other cases, bvFTD may be misdiagnosed as depression or another mental illness. Primary progressive aphasia (PPA) primarily impacts the parts of the brain that manage speech. People with PPA gradually lose their ability to use language properly. Two sub-types of PPA are recognized as forms of frontotemporal dementia. These are semantic dementia and progressive agrammatic (nonfluent) aphasia. Patients with semantic dementia simply lose their ability to connect words with their meanings. They often have difficulty naming everyday objects. They may even forget familiar people and places because the names associated with those people and places have lost all meaning. Although semantic dementia at first affects only the ability to use words properly, it eventually interferes with the ability to understand spoken and written the language. Whereas semantic dementia affects a person's ability to connect words with their meanings, progressive agrammatic aphasia affects a person's ability to produce speech. People with this form of PPA understand the meaning of words, and know what they want to say, but become increasingly unable actually to say it. Their speech may become ungrammatical and disorderly. They may speak haltingly, or in small bursts. Progressive agrammatic aphasia is often connected with the development of symptoms similar to a movement disorder form of FTD, corticobasal degeneration. Since PPA sometimes also appears in non-dementia patients, and with other types of dementia such as Alzheimer's disease, it is important for doctors to assess other symptoms to diagnose FTD related PPA properly carefully. Movement disorders are rare types of FTD that primarily affect the parts of the brain that regulate movement. There are two types of movement disorders in FTD: corticobasal degeneration, and progressive supranuclear palsy. Corticobasal degeneration is the atrophy of nerve cells in the parts of the brain that control movement. People suffering from corticobasal degeneration become progressively less able to control the movement of their limbs and extremities. While corticobasal degeneration often appears with other symptoms of FTD, some people who suffer from corticobasal degeneration maintain their full use of language, memory, and cognition. Progressive supranuclear palsy (PSP) is a form of FTD that affects balance. 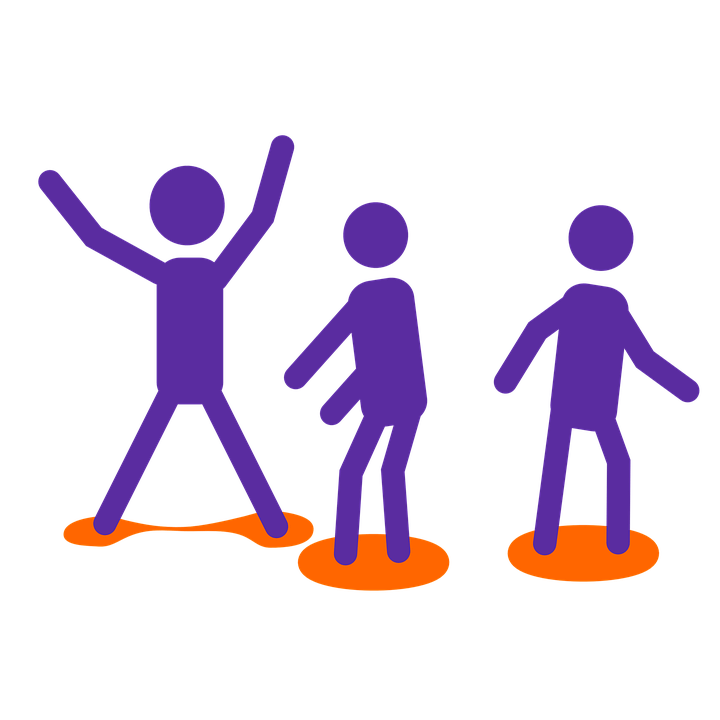 People with PSP often have trouble walking, and may fall often. Also, they can experience tremors and rigidity that may affect their facial muscles. Eye movements can be affected by PSP. People with PSP sometimes develop a peculiar fixed expression caused by their inability to move their eyes properly. As PSP progresses, it is associated with other symptoms of FTD such as memory loss, cognition problems, and language issues. Like other types of progressive dementia, FTD typically moves in stages from mild to severe. Since there are so many varieties of FTD, there is no one pattern of frontal lobe dementia stages. Instead, FTD typically begins in a more mild, simple manner and progresses to more severe and complex symptoms. As we discussed earlier, behavioral variant frontotemporal dementia (bvFTD) often begins with personality and emotional changes. It may be some time before bvFTD is recognized, as the changes can be mild at first. Impulsive behavior and blunted empathy can also be mistaken for signs of a mid-life crisis. Muted emotion can be misdiagnosed as depression. Eventually, however, these behavior changes grow more severe. Impulse control becomes difficult or impossible. In one study, 37% of the participants with bvFTD got in trouble with the law over their behaviors. In addition to worsening behavioral and emotional issues, people with bvFTD often develop symptoms associated with other types of FTD. Difficulties with cognition skills such as language and memory can appear, and they may begin to have issues with physical movement. Patients whose FTD presents with primary progressive aphasia usually exhibit mild language-related symptoms at first. Their general memory is not usually affected in the early stages. As the FTD progresses, the language associated symptoms become more pronounced, and symptoms associated with other types of FTD may also appear. Patients with semantic dementia display more pronounced memory issues as the disease progress, becoming unable to recognize familiar people and objects. Progressive agrammatic aphasia often progresses to physical symptoms similar tocorticobasal degeneration (coordination and muscle issues). Symptoms of corticobasal degeneration can affect one side of the body first, then spread to both sides. Arms and hands are often the most heavily involved. The symptoms, such as trouble coordinating and performing desired body movements, grow progressively. People with corticobasal degeneration, however, do not always progress to problems with language, memory, or behavior. Progressive supranuclear palsy usually begins with gait issues. People often begin to have trouble walking, and fall more often than usual, often for no particular reason. As dementia progresses, it may involve more muscle structures, especially the face and eyes. Symptoms similar to Parkinson's disease can develop, with muscle stiffness and tremors. 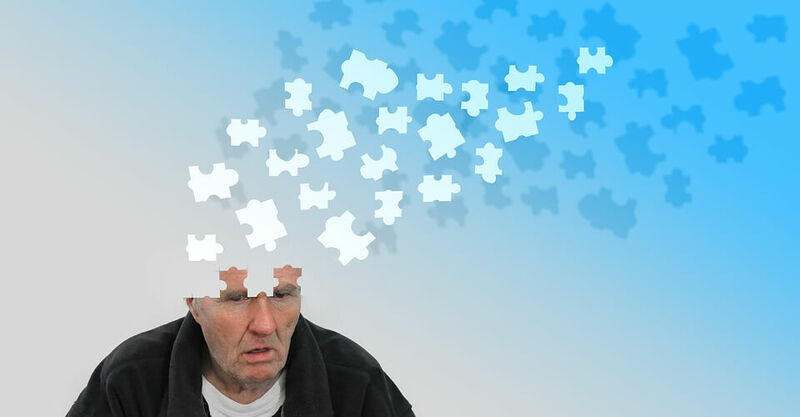 In more advanced stages of the progressive supranuclear palsy, it is not unusual for other symptoms of dementia to appear, such as language, memory, and behavior issues. In general, frontotemporal dementia itself is not a fatal disease. It does, however, increase a person's risk of death from other diseases, and accidents. Frontal lobe dementia life expectancy varies a lot from person to person, but on average, people with FTD live for about 7-13 years from the time of diagnosis. Two of the most common causes of death are pneumonia (which may begin with aspirating food or liquid into the lungs), and choking on food. People with bvFTD tend to have a slightly shorter life expectancy than people with other types of FTD, possibly because they are more likely to put themselves in risky situations. There is no primary treatment for FTD. Since dementia itself is not treatable, doctors and caregivers try to control FTD by helping the patients manage their symptoms. Antidepressants and antipsychotic medications have both proven useful for curbing behavior issues in patients with FTD. For people who have primary progressive aphasia-related FTD, speech therapy can sometimes help them find alternate communication methods. As FTD progresses, most patients will need 24-hour care, whether in their homes or nursing facilities. Frontotemporal dementia is a difficult diagnosis. If you or someone that you love has recently been diagnosed with some form of FTD, it's normal to feel upset, angry, sad, or overwhelmed. It's important to allow yourself time and space to process these emotions. If you aren't sure how to process these negative emotions, or you feel overwhelmed, depressed, or anxious in a way that is interfering with your ability to live life, consider getting help. Professional therapists and counselors, like those at BetterHelp, can help you sort out your emotions. Together, you can develop strategies to deal with the mental and emotional difficulties that you may face going forward. If you are a family member or caregiver of someone with FTD, it's important to care for yourself while you support your loved one through the progression of their disease. Caregiving can be emotionally and physically strenuous, and you can burn out without rest, and support of your own. Small breaks, consistent attention to nutritious food and exercise, and cultivating your network of friends and loved ones can all help you help the one that you are caring for. If you find yourself overwhelmed with caring for or supporting your loved one, remember to reach out to others. Consider contacting a trained professional at a place like BetterHelp. Loving or caring for someone with FTD can be a difficult road to travel, and you don't need to do it alone.